Those prebuild machines run on Oracle VM VirtualBox. Let us take a small detour to talk about VirtualBox. VirtualBox is a general-purpose full virtualizer for x86 hardware, targeted at server, desktop and embedded use. VirtualBox is deceptively simple yet also very powerful. It can run everywhere from small embedded systems or desktop class machines all the way up to datacenter deployments and even Cloud environments. I find this tool extremely useful – I use it to build my entire testing environments that varies between simple single windows server for testing my blog’s WordPress, and full Real Application Cluster multiple node environment with data guard implementations. We can use it for running Windows, Linux, and even Solaris – if x86 supports it, VMBox probably can run it. In effort to make new technologies accessible to new comers and developers, Oracle provides a set of pre-built virtual machines. 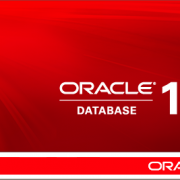 Those machines include Oracle 12c on Linux, Oracle ODI with 11gR2 Enterprise Edition and even Solaris 10 and 11 pre-configured. On the application side, we can find OBIEE, SOA and BPM and even MySQL with PHP and Zend server. The really cool thing here is that you can even find a pre-build Big Data appliance with Cloudera’s distribution including Hadoop (CDH4.5) and Cloudera Manager. Some of these VMs are designed to support Developer Day workshops, and have specific hands on labs embedded in them, but they are available to all and I recommended testing them out since they are great to learn the new environment.